There's no nice way to say it - I'm a klutz. It's true. To illustrate my point, it came as no surprise to my friends and family to hear I managed to pop something in my ankle while I was letting my dog out last week. I was in my own house, barefooted, without the excuse of falling or a pair of ridiculously lovely shoes, or anything else. So, I spent the weekend doing RICE (Rest, Ice, Compress, Elevate) therapy...mostly with my foot on a sofa cushion and my nose buried in my Kindle. As my friend Peg S. pointed out, at least I had a decent pedi for the event. But what does being a klutz have to do with Life on the Edge? Well, my weak ankles have plagued me all my life, but I still used to love to figure skate as a kid. I had to lace my skates extra firmly to support my ankles, and I couldn't skate for long before they gave out, but I loved it. As an adult, I love to watch figure skating. I am awed by the speed and grace with which those athletes glide across the ice. For me, Figure Skating - Pairs, Dance, Men's, Women's - is the most important sport at the Olympics. I watch the other skating competitions, too, and probably watched the movie, The Cutting Edge, at least ten times. So, I was tickled when I learned one of my fellow Astraea Press authors, Jennifer Comeaux, has a series of romances set in the figure skating world. As luck would have it, Life on the Edge and it's sequel Edge of the Past are on sale at Amazon for just 99 cents each -- a heck of a price for a big 400 page book! So I downloaded them and started to read. From page one, I was swept into the competitive and exciting behind the scene world of figure skating. 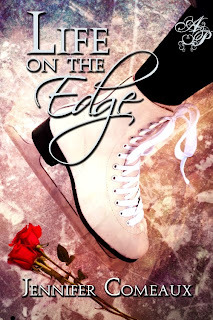 I stayed up until 3 A.M. in order to finish Life on the Edge, and I highly recommend it to anyone who loves romance and figure skating. I started book two today, but had to share this one. You can check out Jennifer's other books at these booksellers, too. Don't wait for a sprained ankle to do it -- the sale is still on! I have to admit this picture amused me. I don't watch TV very much, and what television I do watch is about as far from the Jersey Shore's paean to Gym and Tanning as you can get. I'm more likely to be watching Law and Order, Castle, CSI or some other police action show. I also tend to have my nose stuck in a book -- or more likely these days in my Kindle or iPad book app. It's great to be able to carry your library with you wherever you go. The downside to that is that I subscribe to several eBook sites whose goal in life seems to be to introduce me to new books and new authors. So, I always have dozens of books waiting to be read. They call to me when I should be sitting at my desk working on my next book. 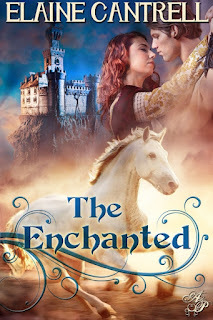 The Enchanted by Elizabeth Cantrell. 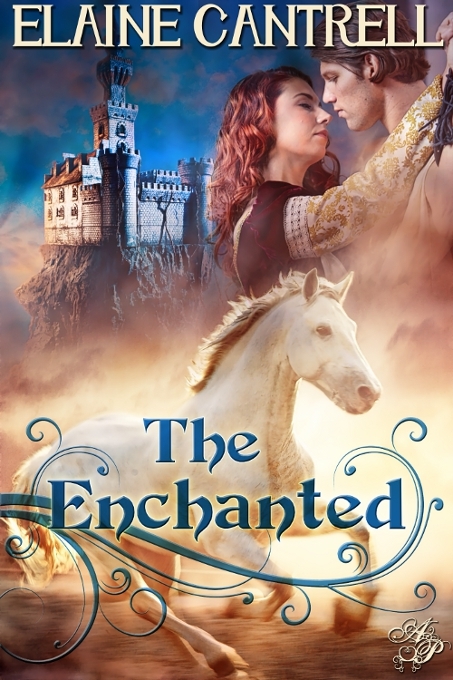 Morgane has the heart of a dragon and beauty beyond compare, and she's not to thrilled about the marriage either. Sounds like another book to add to the Kindle library, and one more excuse to keep from writing. Darn! Have a great day -- I'll be over here reading!